Dutchman Mark Slats has closed the difference in ‘distance to finish’ to within 353 nautical miles while race leader Jean-Luc Van Den Heede was serving his time-out penalty. While Jean-Luc was serving his ‘time-out’ in the penalty box south of the 20°N parallel, 2nd placed Dutchman Mark Slats was powering northwards through the SE Trades at more than 5 knots. By 12:00 UTC Tuesday (8 Jan) Slats had closed the difference in ‘distance to finish’ to within 353 nm. Worse for Jean-Luc, the NE Trade winds have disappeared and he is likely to be facing the frustration of calms until Wednesday at least, while Slats continues to make strong gains. The estimated finish date for Van Den Heede Friday 25 January. 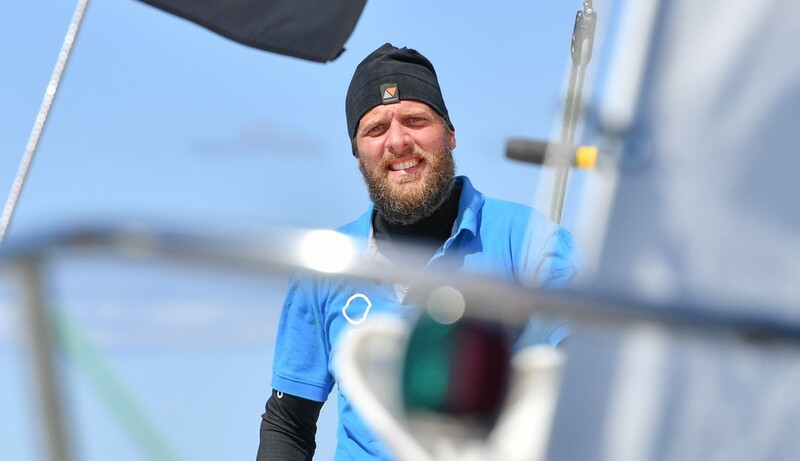 Third placed Estonian skipper Uku Randmaa and his Rustler 36 One and All, survived last week’s South Atlantic storm unscathed, and now finds himself drifting in a hole, making only 1 knot on Sunday, so has used the time to dive overboard and give the hull another clean.